Our last leg of the Orissa trip was Bhubaneswar. 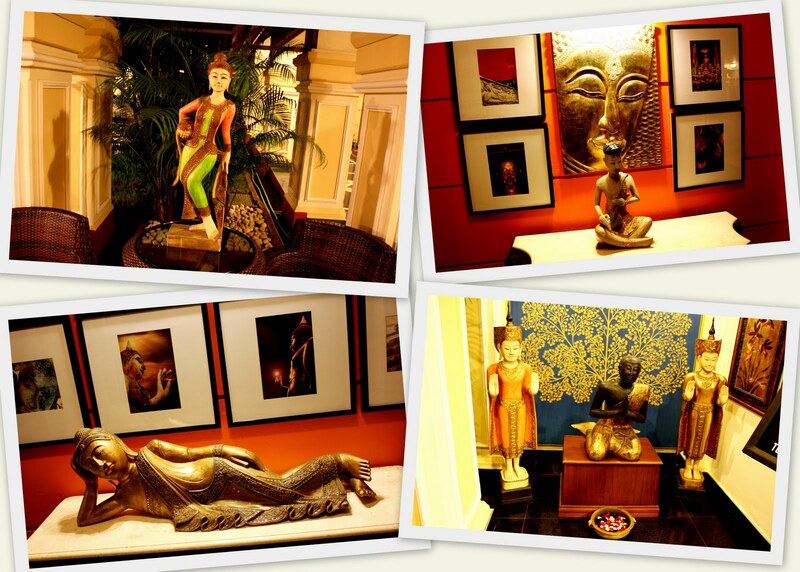 So we decided to splurge a bit and end our trip with a nice relaxing stay at a good hotel. We ended up getting much more than expected! 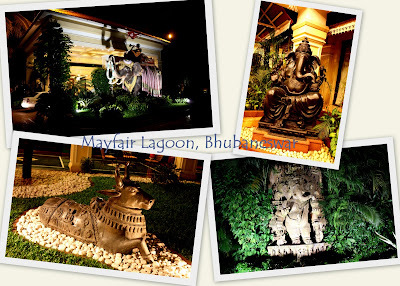 The Mayfair Lagoon is the best hotel I have ever stayed at. Such a beautiful hotel with incredible architecture, marvelous interior décor, delicious food and great ambiance. 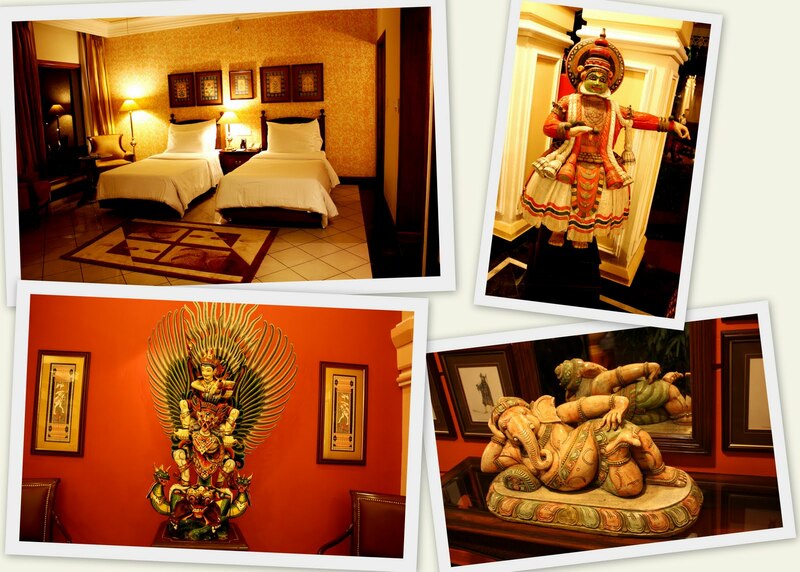 The rooms were also very spacious and tastefully decorated and the mini-bar items were free! We really wanted a massage and all of us had great ayurvedic massages. It was so relaxing! The main entrance. 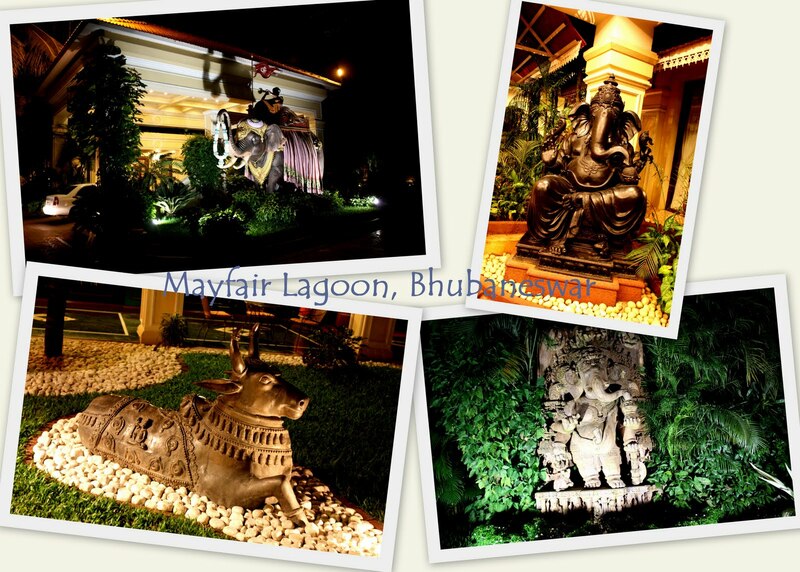 Check out the giant elephant! 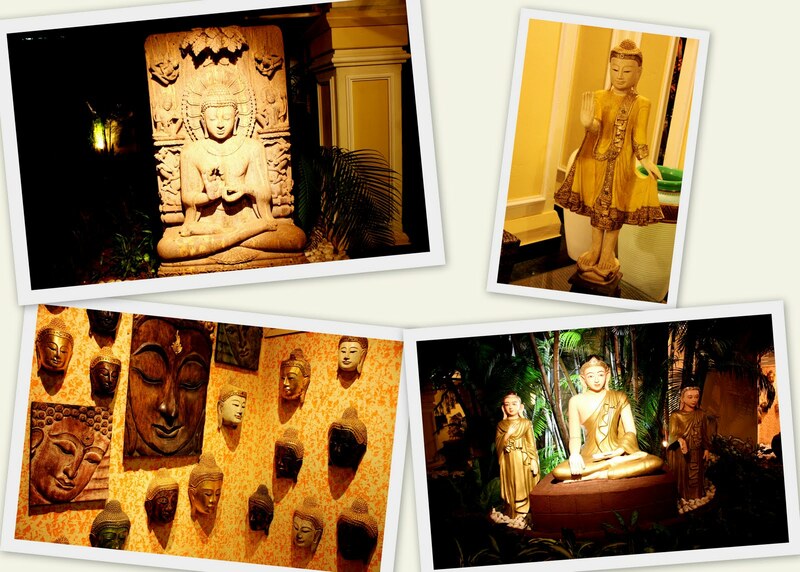 Lovely Buddha statues. I wish I had similar ones! We decided to swim in the early morning then pray at the Shiva temple. My only regret was that we only spent 2 nights at this hotel. I could easily stay there for at least a week and feel pampered!!! Be sure to check out this hotel if you decide to go to Bhubaneswar! 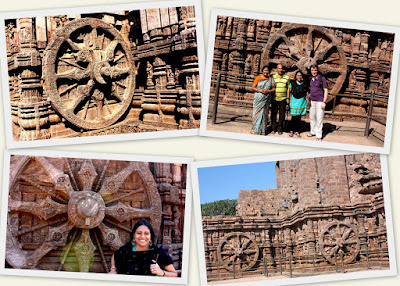 The main purpose of our visit to Orissa was to see the Sun Temple in Konark. For a very long time my mom wanted to visit this famous temple as her and my dad's names are synonyms for the sun in Sanskrit. It was therefore a dream come true. In Sanskrit, the name Konark means corners of the sun (Kona = corner, Arka=sun). 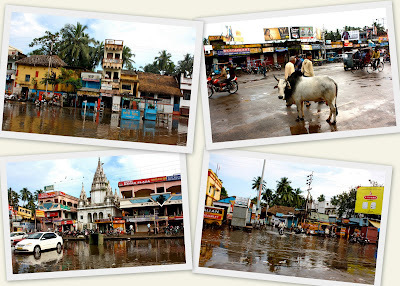 The 13th century temple was built by King Narasimhadeva from the Ganga Dynasty and is designed in a very unique way - the form of the Sun God, Surya's twelve wheeled chariot drawn by seven horses. The horses represent the seven days and the wheels represent the twelve months. The temple entrance is guarded by two huge lions. The temple is full of statues and carvings of humans in various poses from the Kama Sutra and has statues of flowers, animals and geometrical things. 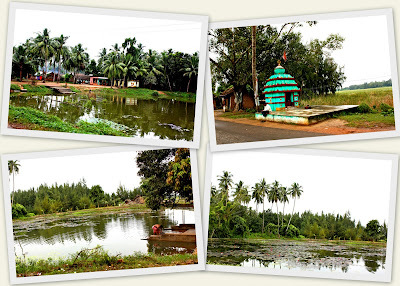 Legend has it that following the defeat of Muslim warriors, King Narasimhadeva became very popular and revered by other Hindu kings and he decided to build a temple which consisted a shrine and memorial for those who had been killed. The chief architect, Bishu Maharana, was upset that the soil where the temple was to be built was in poor condition. Nonetheless, due to the sanctity of the place, he managed to build the temple. The workers were ordered by the king not to leave until the temple was fully constructed. The work was almost over however, there was a problem fixing the finial in its proper position. Bishu's had a 12 year old sun, Dharmapada, whom he had not seen for 12 years. 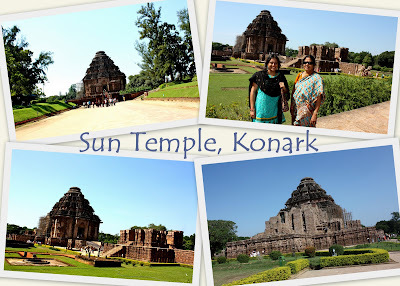 Dharmapada went to Konark to see his father and learnt that the workers were having a problem fixing the finial. When he heard that the King would behead them if they did not finish the work properly, Dharmapada got worried and immediately helped them. He noticed that there was some error in the work and managed to put the finial properly in a short time. The workers were worried that the king would find out about this and still behead them. The boy was shocked to hear this and committed suicide. 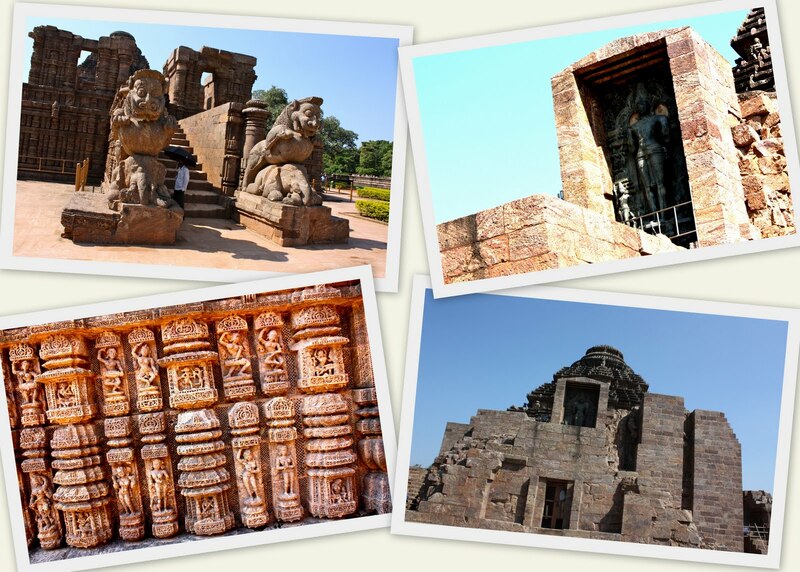 The king dedicated the temple to Surya, the Sun God and the temple became a major pilgrimage destination. There is also another story behind this temple. 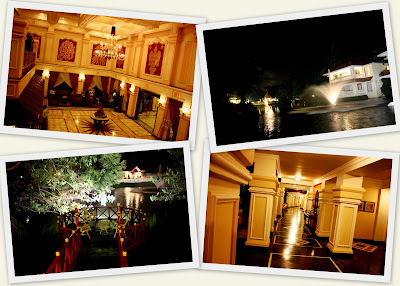 Once, Samba, the king of Krishna and Jambhavati, entered the bathing chambers of Krishna's wives. As this angered Krishna, Samba was cursed with leprosy. Samba was told that to get rid of the curse and disease he would have to worship Surya. 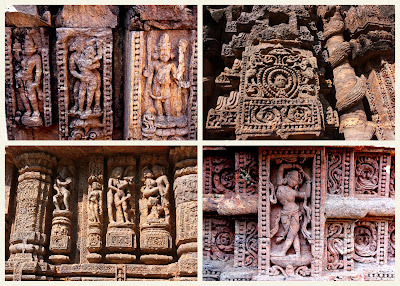 The place where Samba worshiped Surya was the Sun Temple in Konark. 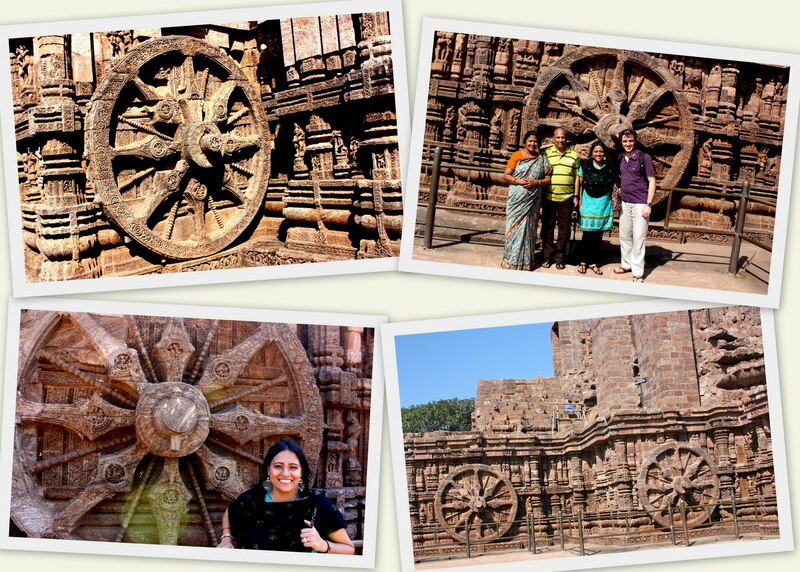 Here are the famous chariot wheels! They are huge! It was great to see this temple but as I had much higher expectations of it being much larger, I was a tad disappointed. 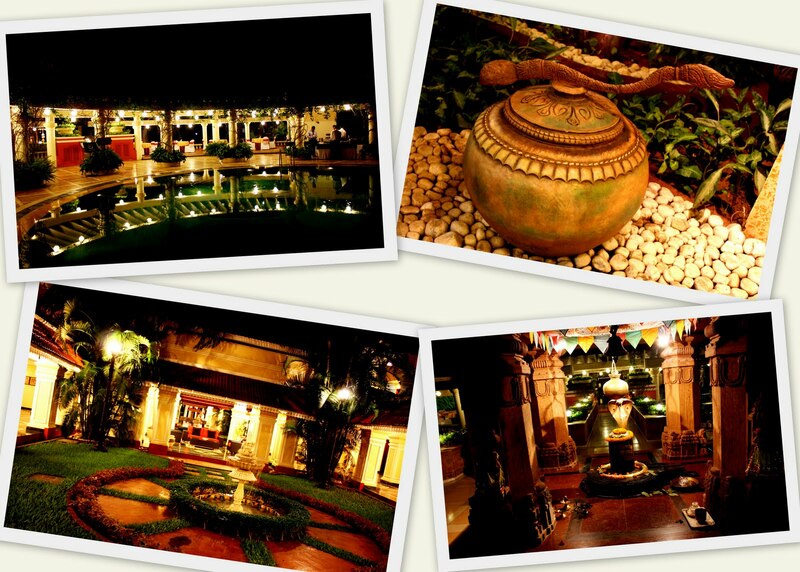 The place is very well maintained though and the garden is also very beautiful and neat. 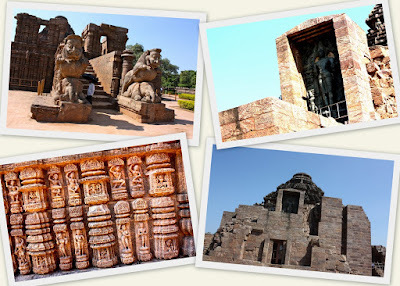 It is an UNESCO World Heritage Site and is also one of the Seven Wonders of India. 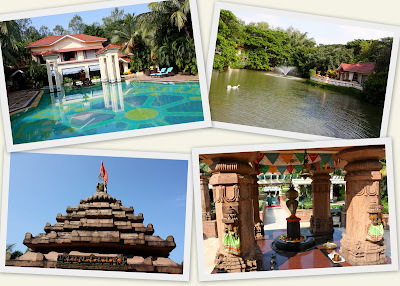 The temple is also famous for being the site of the Konark Dance Festival held in December every year. If you go to Orissa, be sure to visit this famous temple! 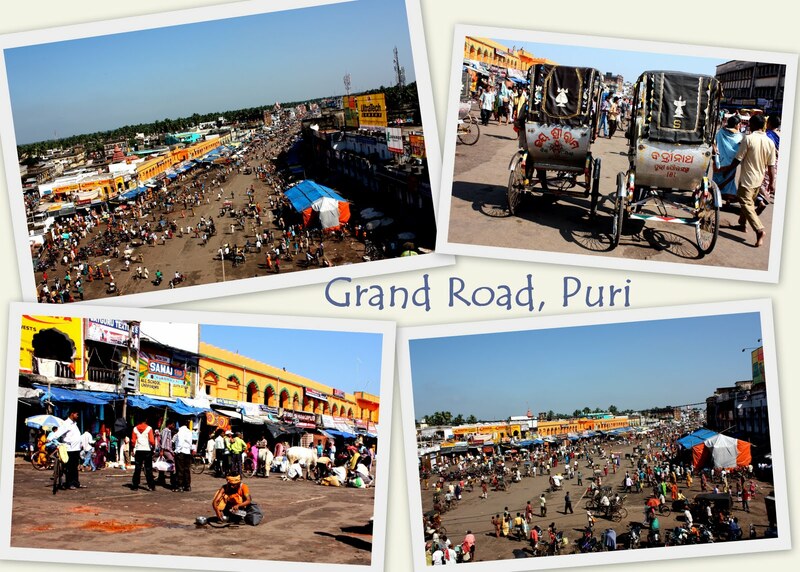 Puri is truly a city that never sleeps. 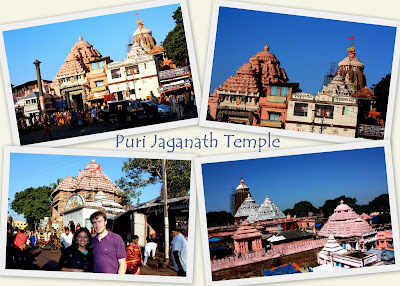 The city is very enchanting with its continuous religious chants, chiming of bells, souvenir and fruit vendors, herds of cows walking aimlessly in the streets, breathtaking natural beauty, fascinating artistic talents and of course the simply magnificent Puri Jaganath Temple. 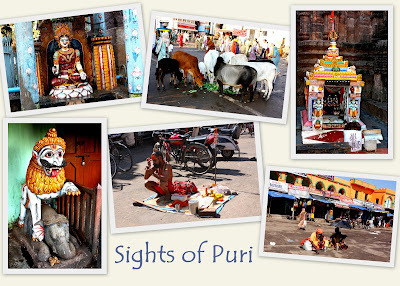 The life of the locals revolves around the Puri Jaganath Temple. Whether you are out on the main streets at 10pm or 4am, the whole place is so lively with people adorned in their colorful clothes, humbly dressed to offer their prayers to God. 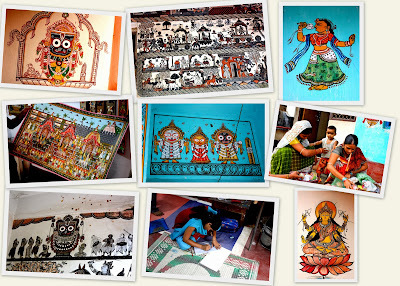 Jaganath is a very powerful god (Vishnu) and the way He is presented in Puri is very unique and amusing. Amusing because I have never seen God represented in such a way! Look at how beautiful the temple looks! No photos are allowed inside as with most religious places in India. 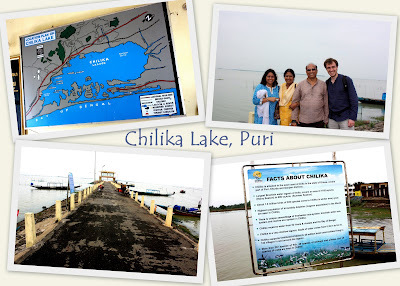 The story behind this goes: About a 1000 years ago, there was a king called Indradyumna who ruled Puri . He was a very pious man and while listening to his sages, he learnt that the ultimate realization was the personal form of Godhead. The king therefore built a strong desire to see the Godhead. One night, he dreamt that Lord Vishnu told him he would find a wooden log at Puri's seashore and advised him to take it with him. Lord Vishnu asked him to carve the wood according to the instructions found in the Shilpa Shashtras. The king woke up excited and immediately went to the beach where he found a large log. He ordered his carpenters to carve the wood but the wood was so hard that their tools broke. A heavenly architect called Vishwakarma went to meet the king and informed him that the log was divine. No mortal would be able to carve it and he told the king he would do it himself, if permitted. There was one condition however: no one should be allowed to see his work until it was finished. If anyone saw it and disturbed his meditation, he would abandon the king. The king agreed to his condition and allowed him to start working. Although the king patiently waited for Vishwakarma to finish the carving, his wife, Gundhicha kept urging him to take a peek at his work. One day, there was no more noise coming from the chamber where Vishwakarma was working and the king and his wife went to take a peek. Before the door was even halfway open, the architect vanished, leaving his tools and the carving behind unfinished. The king felt bad and decided to fast till his death. 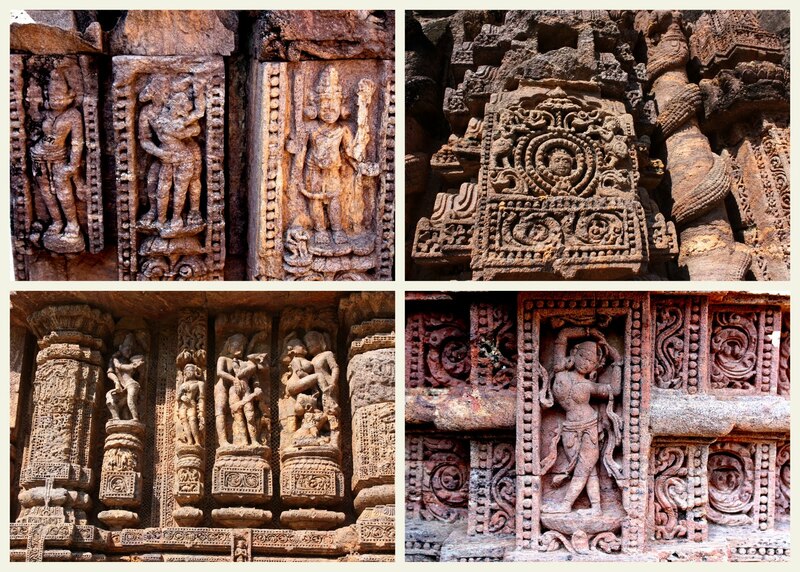 He had another dream where Lord Vishnu told him that the unfinished carving was in fact a form that could be worshiped. Vishwakarma had made carvings of Jaganath, his sister Subadhra and his brother Balabadhra. As the quality of wood deteriorates over the years, there is a festival held in July every year called Rath Yathra whereby the deities are taken out from the temple and make their way in separate chariots to the Gundhicha temple where they remain for a few days. 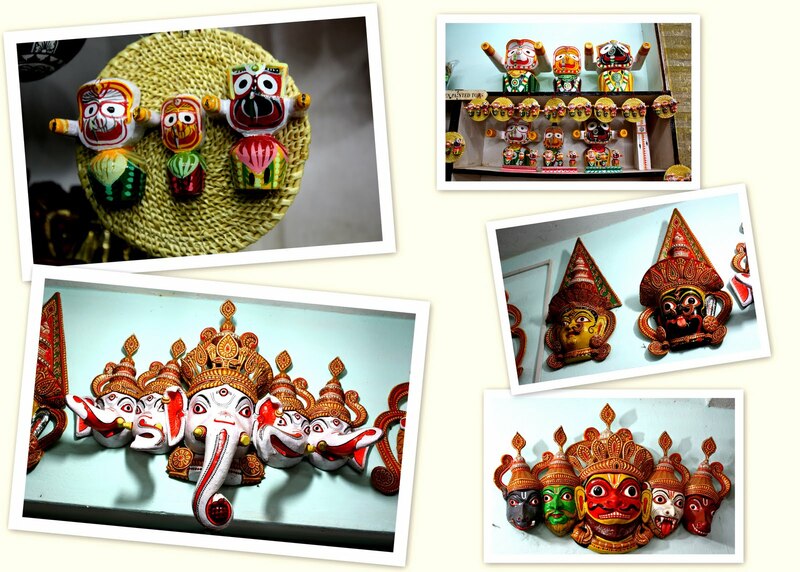 The new wooden idols then return to the Puri Jagannath temple in a similar fashion. Needless to say, there are thousands of devotees who come thronging to Puri at this very auspicious time to seek the Lord's blessings. We went to the temple at 5am and already then it was very crowded. It was funny to see monkeys still sleeping on the temple pillars and slowly waking up. The moment the entrance opened, everybody rushed inside to see the Lord and His siblings. We were so up close it seemed surreal. Truly magical. We spent some time walking to the different altars in the temple and kept being bothered by money driven priests who kept somehow only targeting us for money. It was very frustrating especially when we went to the temple to have a peaceful moment with God. We came back with some very nice honey sweets nicely packaged from the temple! We walked around the temple and on Grand Road to have a true feel of the place. The whole place was so bustling, active and colorful as you can see! I especially liked seeing the cow gatherings! At one point during the day it rained heavily although just briefly and look what happened to Grand Road! Flooded! 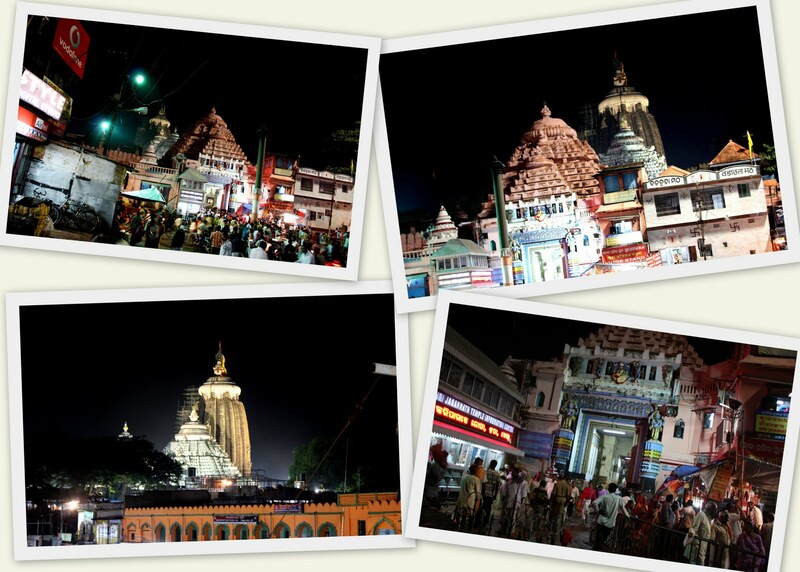 At night, we took an auto from the hotel through the narrow winding streets of Puri to see the glittering temple. We saw some nice souvenirs as well in the shops on the main street. Since the weather was so beautiful with the glorious sun, we went for a short stroll on the beach. Just looking at these photos makes me want to go back there!!! 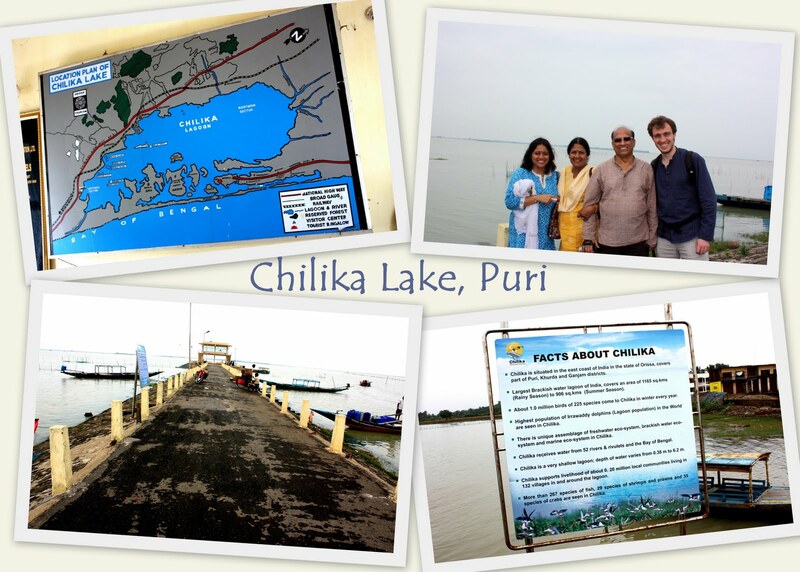 One of the excursions you can do when in Puri is to go to Chilika lake which is the second largest lagoon in the world. 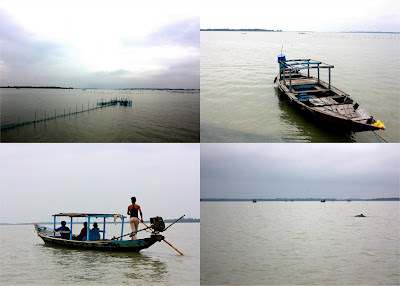 The lake is the largest home to migratory birds and is famous for dolphin watching. As exciting as that sounds, I did not find it great. The dolphins hardly came out to give us a show and it was a bit dull. I did however really enjoy the drive to the lake. 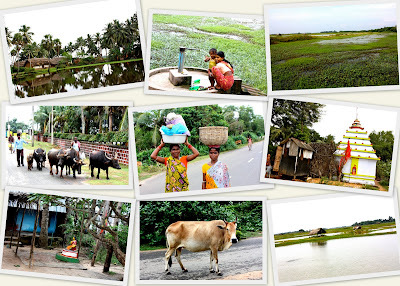 Such stunning nature and friendly and hospitable locals! 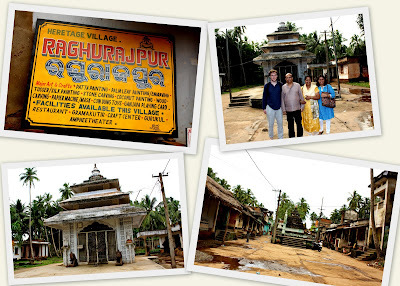 We ended our stay in Puri by visiting the nearby artists' village of Raghurajpur. This place was simply fascinating. 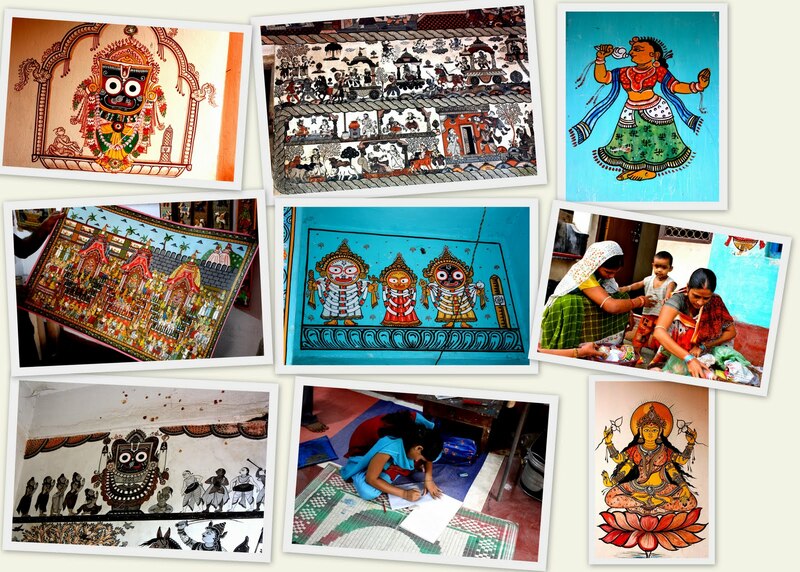 Everyone from kids to the elderly in this village is dedicated to creating Pattachitra paintings. 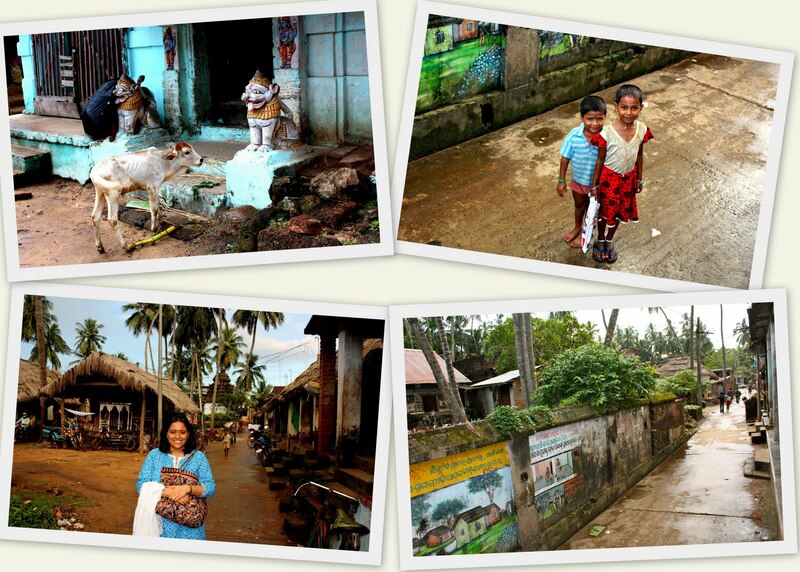 We visited many homes where the families enthusiastically showed us their hard work. Really impressive! We ended up buying a beautiful painting of Lord Jaganath and His siblings. The village itself is small and charming and it was lovely to walk around and talk to the locals. We even got to see a young boy's kathak performance. So much passion and talent in this tiny village! 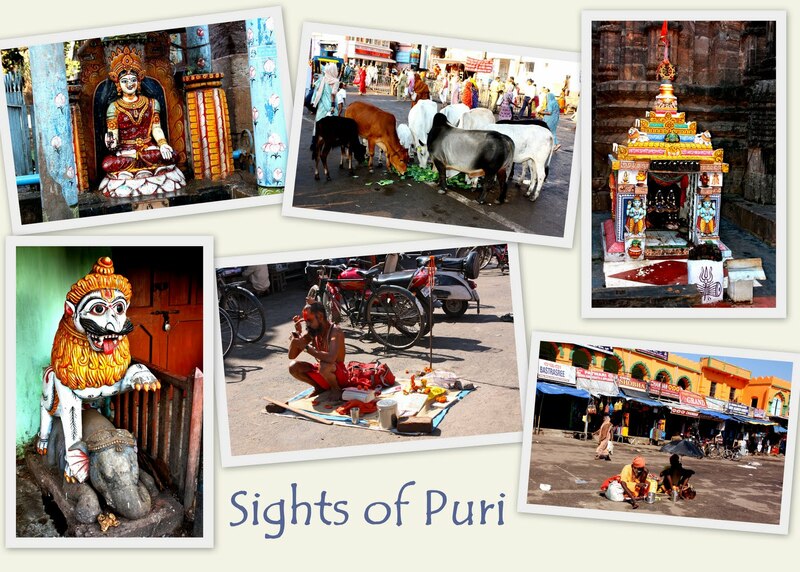 Hope you enjoyed reading about my experience and impressions of Puri. I thoroughly enjoyed my time in this mystical place. 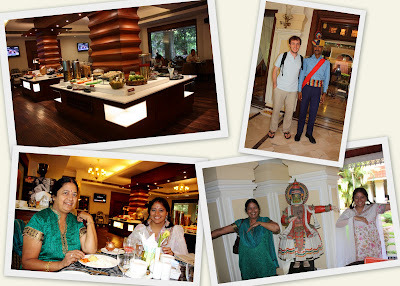 Next up, my adventures in Bhubaneswar! Once again, my photo got published on CNN's travel segment! As you can imagine, I am so excited about it! Click here to see the photo on CNN! The photo I submitted this time is that of a castle in the little city of Brig in the Valais region of Switzerland. I used to study in Brig and since I graduated, I had not returned to visit this beautiful place . Last summer, my family came for a short visit, so I decided to take them to Brig so that they could visit the place I called home for 3 years. We walked around the city and I showed them my university, all the places I used to hang out at, the apartment I stayed at, the shops I went to, etc. This castle was one of my favorite sites in Brig. I love its beautiful architecture and the park surrounding it! I am glad that through CNN, more people can know about Brig! 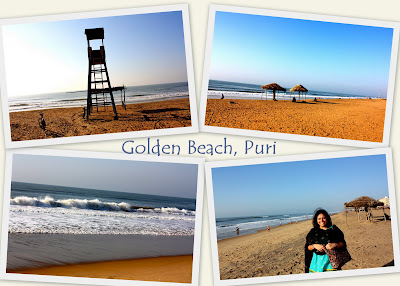 Keep reading my blog for more interesting updates about my time in Puri!